Hawaii is the perfect vacation spot for tourists also among the deadliest destinations for catastrophic accidents. Contact Jed Kurzban. The last thing you think about when visiting Hawaii is getting involved in a catastrophic accident. It is the perfect vacation place. With pristine beaches and so many attractions, tourists from all over the world feel they are picking the right destination. But way too many tourists die in Hawaii every year. Let’s take a look at a few things that can kill you in the paradisiacal region. Contact a Hawaii catastrophic injury attorney with experience in that area of law. An attorney can help you obtain compensation to cope with the lasting impact of your injuries. Helmet laws – Motorcyclists are not required to wear a helmet in Hawaii. They are only required to wear safety goggles if they don’t have a protective windshield. While helmets are not required, it is a good idea wearing them if you are visiting Hawaii. Sightseeing – While traveling around Hawaii may feel great, it is best you pull over to enjoy the scenery or you may end up causing an accident. Some people enjoy whale watching but your rental car company insurance will not cover for these types of accidents, especially if distraction was the major cause. Volcanic smog – Also known as VOG, this is air pollution caused by volcanic eruptions, especially the Kīlauea Volcano, which is one of the most dangerous ones in the region. Beach selfies – Hawaii seems like the perfect place to take a selfie. 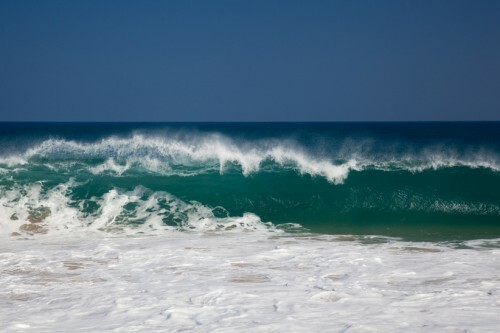 But you must be careful because a deadly wave may hit you at any time and knock you down. Rainbow neck – Staring too much at Hawaii’s breathtaking rainbows can cause a permanent strain on your neck, also called a rainbow neck. Cliff diving – This is a popular sport in Hawaii but also a dangerous one as the changing tides and rushing currents can carry underwater debris and hurt you. The weather – Weather conditions can change so fast. One minute you may be hot and dry and the next minute it could be pouring and cold. Hot lava – If you are visiting Hawaii, wear closed-toe shoes. Don’t walk close to the hot lava and stay hydrated. Shark attacks – Shark attacks can be deadly. You must get out of the water immediately if you feel unsafe. Swimming next to a waterfall – While this can be a great experience, it may not be smart as falling debris can hurt you. Sun overexposure – The sun can damage your skin. Whatever you do, don’t fall asleep in the direct sunlight for too many hours. Most of the things listed above kill tourists and locals in Hawaii every year. Use common sense and stay away from danger. If you have sustained severe injuries during your Hawaiian getaway, contact us today and schedule your initial case review with Hawaii catastrophic injury attorney Jed Kurzban. A catastrophic injury can cause a lot of pain and emotional distress. Although compensation may not remove the pain, it can help cover the costs of treatment and recovery.